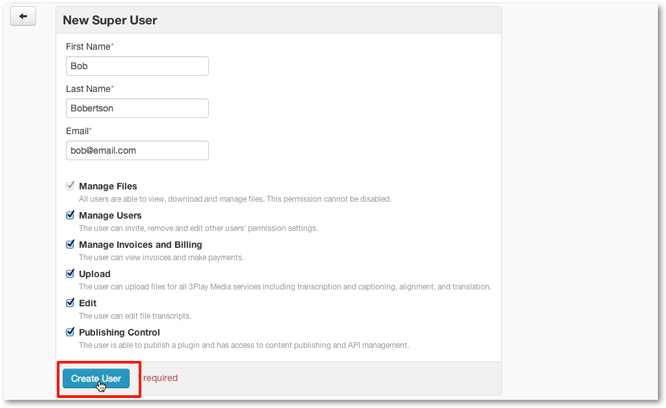 When your 3Play Media user profile has the Manage Users permissions enabled you can invite either Project Users to have access to a specific project within your 3Play account or invite Super Users giving the invitee access to all projects within your account. When new projects are added to your account Super Users will automatically have access to newly created projects. See more information on Project Users. See more information on Super Users. Once Manage Users is clicked you are directed by default to the Project Users menu. If you would like to invite a user to the specific project you currently have open click + New Project User. PLEASE NOTE: If you need to add a Project User to a project different from the one you are currently in you should first switch to the desired project that you want to add this user to before inviting them. See more information on switching to a different 3Play Media project. To add a Super User click the Super Users followed by +New Super User. Enter the first and last name and email address for the invitee. Select which permissions you want to grant the new user. 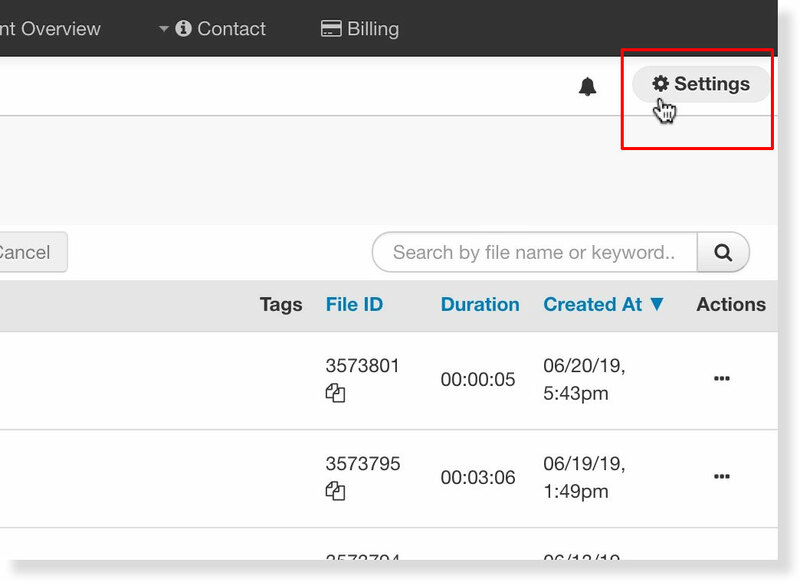 You can give the new user the ability to Manage Users, Manage Invoices and Billing, Upload media files, Edit transcripts, as well as give them Publishing Control. You can grant them one or a combination of all of these permissions. Once you have completed this form, click Create User. The new user will then be sent an email with instructions to set up their account. See more information on the features and tools you can enable for an invitee. Note: If you are inviting a user to an individual project, Manage Invoices and Billing will not be an option unless you have had your account configured by 3Play for project-level billing.